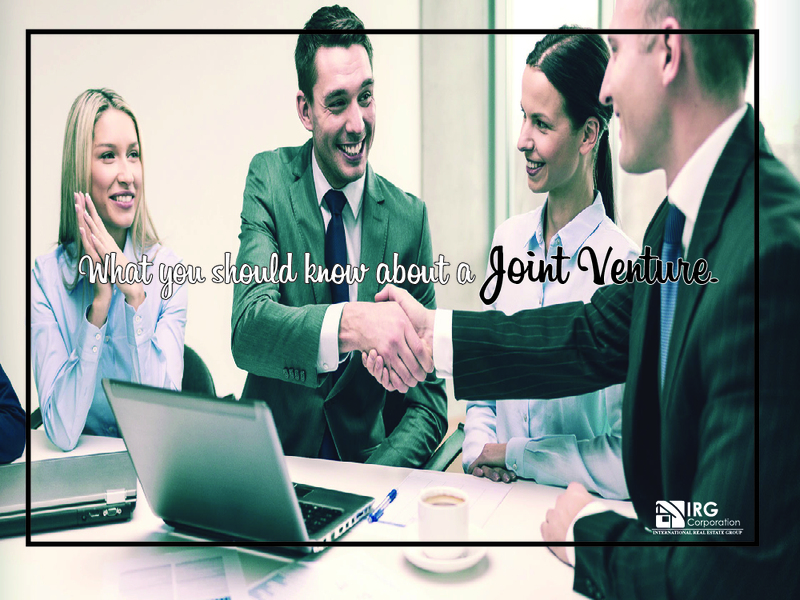 What you should know about a joint venture. The investment in real estate every day continues to gain ground among the options to optimize the profits that can be generated by using your money wisely and that is why little by little new alternatives are being born to achieve this, finding among them the joints ventures that as its name indicates is an association between two or more participants, each with its resources, in order to perform a specific commercial task which will benefit everyone.More and more people are coming together for a specific purpose because this brings many advantages and benefits both economically and at a time level, but, we must know that the responsibilities are shared by all involved, reflecting on the fact that both gains and losses will be equal for each one, regardless of the result of the transaction.Obviously the scope of this strategy will depend a lot on the capital that is held as a unified entity and what are the subsequent movements that make at the time of investing, therefore, it is important to propose a plan to follow and be in full agreement with all people who are partners within this association. This type of investment is widely used to enter international markets because the shared responsibility at the legal level ends up being distributed among the members because one of the members can easily choose to obtain a mortgage loan while the others contribute the rest of the money to be able to deal with the acquisition of some basic or commercial property which will be responsible for bringing the desired benefits. After all, the way in which the money is invested depends a lot on you and whatever the knowledge you have about the market in which you are going to immerse yourself, but, what we can tell you is that if you are looking for advice to learn more about this topic and any other within the real estate do not hesitate to contact us by visiting our website where you will find a contact number and an email where we will be waiting to assist you immediately. What To know to have a good Negotiation!